Pick up from the airport or bus station to the hotel. Overnight stay in Santa Cruz. After breakfast we are picked up from the hotel and begin a private tour to the Jesuit missions which were declared world cultural heritage in 1990 by UNESCO. 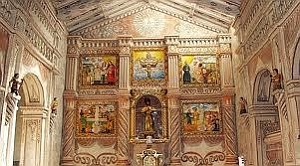 San Javier is one of the oldest missions. 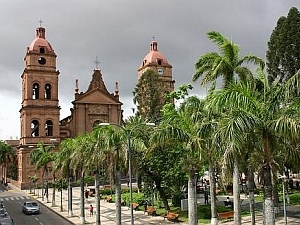 It is located 225 km from Santa Cruz in an area called Chiquitania, a savanna region between Chaco and the Amazon area. It was founded by Jesuits in 1691. We visit the church and the museum of San Javier before having lunch. We continue our trip in the direction of Concepción. On the long way along the East Bolivian plains we see beautiful landscapes with huge granite formations. We stop in a place called Las Piedras (the Stones) to enjoy the scenery a little. We reach our hotel in Concepción, have dinner, and spend the night. We visit the church of Concepción which was built from 1708 to 1709. 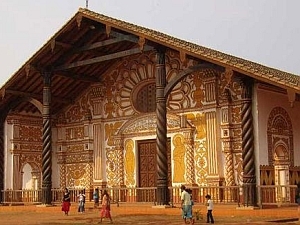 It is one of the most impressive churches of the Chiquitania due to the wooden carvings of its inner architecture built by local people under the supervision of the Jesuits. After visiting the museum we have lunch and drive back to Santa Cruz in about 5 hours. After breakfast we are taken by private transfer to the airport where we fly to Sucre in around 30 minutes. Another private transfer takes us to our hotel. In the afternoon we have a private minibus city tour of Sucre. Sucre is also called the “white city”, “ciudad blanca”, and has a historic centre which still has a centuries old colonial architecture. 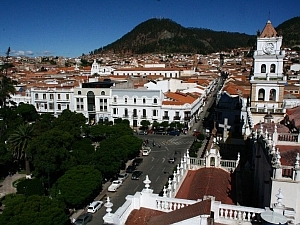 Sucre is probably the most attractive city in Bolivia. 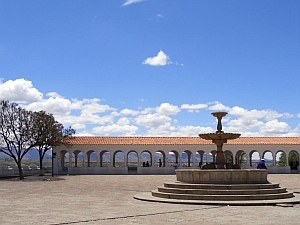 On this city tour we see charming streets with their neo-classical facades, magnificent churches from colonial times and historic monuments which stand for important events in the history of Bolivia. We visit the Casa de la Libertad, the House of Liberty, the Recoleta (a church with a convent) and a textile museum. We have the morning free to do as we please – take the time to simply wander around the downtown streets of Sucre. In the afternoon we are picked up from the hotel and taken by private transfer to the bus station where we travel by public bus to Potosi in around 3 hours. Another private transfer takes us to our hotel in Potosi where we will spend the night. After breakfast we have a private tour where we visit the Pailaviri mine. 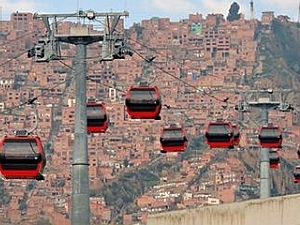 It is located in the Cerro Rico of Potosi, the rich mountain of Potosi. Under this mountain during colonial times was the largest silver mine in the world, located at 4800 metres above sea level. You can visit an inner part of the mine. On the tour we can see miners who like centuries ago are still mining minerals by hand under inhuman conditions. In the afternoon we go on a private city tour by minibus. 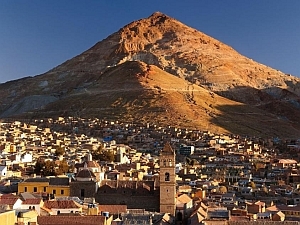 We visit the mint museum, San Lorenzo Church, the Barracks, the convent churches of Santa Teresa and San Francisco, and the main square of Potosi – 10 de noviembre (10th of November Square). We spend the night in Potosi again. Day 7: Potosí – Uyuni – Salt hotel "Luna salada"
After breakfast we are picked up from the hotel and taken by private transfer to the bus station where we travel to Uyuni in a public bus in around 4 hours. In another private transfer we are taken to the spectacular hotel, “Luna Salada”, (Salty moon), which is built out of salt blocks. We have lunch, have the late afternoon to do as we please and spend the night in the hotel. 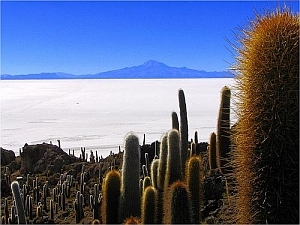 We are picked up around 11:30 from the hotel Luna Salada and begin a group tour (there is also the possibility of a private tour) – Salt Flats. In the village of Colchani, at the beginning of the Salt Lake, you can see salt mountains for the production of salt. Here you can buy souvenirs made out of salt. On the Salt Lake we can often see bubbling salt springs, which are called Eyes of the Salt Lake. Underground water streams break through the salt crust here. In the middle of the Salt Lake we see a hotel made out of salt. On Fish Island (Isla Pescado), which stands out like a fish from the salt lake, there are craters and you can see cacti 8 metres tall. We have a small lunch on the island. There are 2,5 hours of free time for us to discover these unique sights. Before arriving in Uyuni we visit the train graveyard. You can see among other things locomotives that were used in the 19th century. At 8 pm we take the tourist bus back to La Paz. 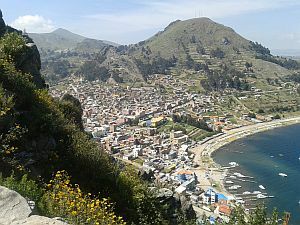 There is also the possibility to fly to La Paz the same night (flight time one hour) and spend the night. We arrive in La Paz around 07:00 and have a bit of free time after our private transfer to the hotel. At 14:00 we undertake a 3 hour private city tour in a minibus where you’ll see the most important sights of the city which include Murillo Square, the museums in Jaen Street, the Handicrafts Market, the Witches’ Market, Moon Valley, etc. We board a private boat at the harbour (90 min) – there is also the possibility of the tourist boat to Yumani with a similar hike (about 1,5hours) – and go to the southern part of the Island of the Sun to Pilcocaina. We visit the Palace of Pilcocaina, archaeological ruins from the Inca period. Afterwards we hike in about 50 minutes to our hotel. 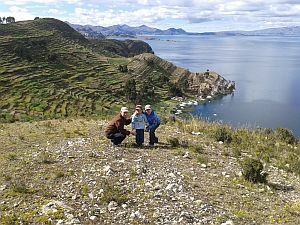 During this hike we have fantastic views of the Andes mountains range and the majestic Lake Titicaca, at an elevation of 3850 metres the highest navigable lake in the world. You can partly see the lake even from both sides of the island. We will have dinner and have time to rest. Pick up from hotel and transfer to the airport or bus station. Overnight stays in 3 star hotels or hostels with double rooms and private bathrooms and showers, breakfast included. 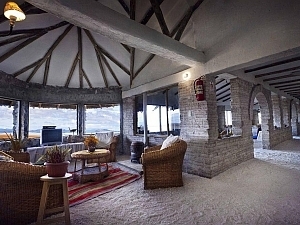 Overnight stay in a salt hotel in Uyuni, overnight stay in an Ecolodge on Island of the Sun. English speaking guide for the Jesuit mission tour and city tours, mine tour in Potosi, Copacabana + Island of the Sun, Spanish speaking driver for the Salt Flats tour, private or public transport to the Island of the Sun, all entrance fees, public buses, tourist bus Uyuni – La Paz with dinner and breakfast, 1 lunch and 1 dinner in Uyuni, 1 lunch during the Salt Flats tour, all meals during the Jesuit mission tour and in Copacabana and Island of the Sun, airplane ticket Santa Cruz – Sucre, 9 private transfers. Private tour Salt Flats is possible. Flight Uyuni – La Paz is possible.